Fifty years of helping people to help themselves . Through a unique organisation called KOA, my Oxfordshire village has chosen to fundraise for small charities with strong grass roots links. They ensure that our money is well spent and give good feedback. We’ve helped make buildings – a children’s ward in South Sudan, a library in Benin, a pre-school in South Africa, and a Spirulina alga farm in Kenya and (2005)all have Kennington’s name on them. We’ve helped build community infrastructure – water tanks in Uganda, piped water, sanitation and renewable energy in Peru, irrigation in Ghana, and water pumps in Sudan. We’ve helped to provide medical aid in India, Honduras, Uganda, Bangladesh, Ethiopia, Malawi and Lesotho. We’ve supported people and communities damaged by war. We’ve helped give education to deprived and ostracised people to become leaders of the future through charities like Children’s Radio Foundation and Standing Voice. We’ve helped empower people, particularly young people and women, with knowledge, skills and tools – to learn trades and set up small businesses, or learn radio journalism to give a voice to their communities or educate their peers to prevent AIDS in Zambia or give young women better life choices in Ghana. We’ve helped get new ideas adopted, like overcoming problems involved in the use of Prosopis trees planted to hold back the desert. Through HDRA (2005) we showed that coppiced the trees are penetrable and do not poison goats. Trained teams of village women demonstrated ways in which its seeds can be used as human and animal food and be a source of income from using this hard wood. The project was copied by some African governments. 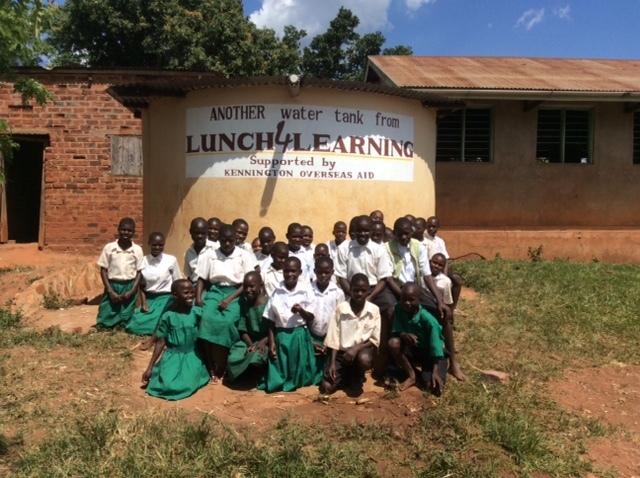 The Lunch 4 Learning project helping 120 rural primary schools to grow crops to feed their pupils in Uganda is now self- sufficient and needs no help from the UK. We’ve kick-started small projects that have become self-sustaining through peer learning and apprenticeships, or themselves will generate income for charity work, like the Spirulina alga farming in Kenya. The Nasio Trust’s day centres for 440 Aids orphans should become self -sufficient by 2020 using income from the Spirulina production. It is also used to supplement the children’s diet. The results are good. Some projects have been so successful, they’ve been adopted by governments – for example, the Standing Voice (2015) skin care clinics for people with albinism we funded in Tanzania have been adopted by the Government of Malawi. We’ve supported projects in 25 countries in 4 continents. To date we’ve raised well over £500,000 (in today’s money, almost £1M). One of my favourite projects was in India (2002). Integrated Village Development Trust (IVDT) was started by Margaret and Michael Wright when Michael left the Ghurkhas. He had witnessed how small improvements could transform villages. They worked with an Indian NGO called AID helping children who were in bonded labour in the carpet industry in Jharkand. AID impressed me. They approached the businesses in a friendly manner and asked if they could teach the children for two hours a day. The result? The children were literate when they were freed aged fifteen. IVDT built a good quality training centre where these children could enjoy good food, some childhood and training. KOA raised the money for the next stage of the project: a revolving loan fund. We paid for these ‘graduates’ to have tools to take up apprenticeships in the community or to set up small businesses. IVDT opened bank accounts for them and taught them some basic financial skills. Many of them set up successful businesses which started to employ more ‘graduates’ and most paid back the loans. KOA has also been good for our community. 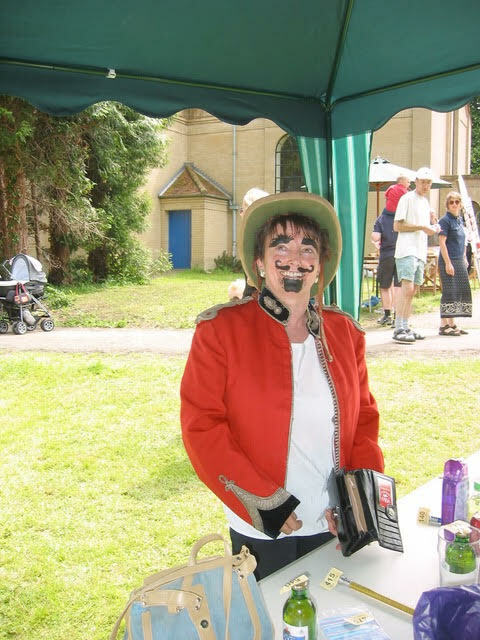 We organised events that have become village institutions like the Bagley Wood Fun Run /Walk and a Pop up Shop every August. We encouraged musical education for children in the village. 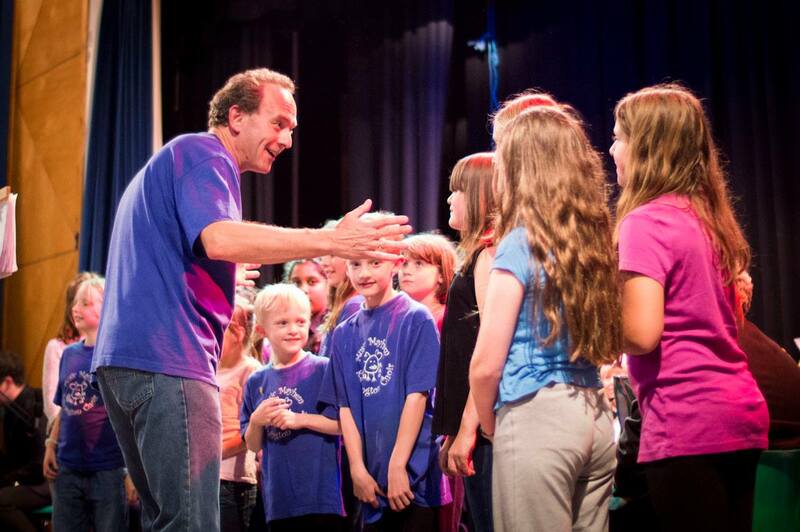 The KIDS 4 KOA concert allowed any child who wanted to take part to show off to the community if only for a minute. KOA has brought people and village organisations together. Our events have been enjoyed by people of all ages and backgrounds. Our final event on September 29 will be nostalgic and the final Auld Lang Syne will be sad. I had chaired KOA for 15 years and along with some other committee members we wanted to retire. We have hundreds of volunteers and all our events were well supported but without a committee we can’t continue but we have been going out with a GOLDEN BANG! It has been about loving your neighbour whether that neighbour is next door or on the other side of this small earth we share. Water tanks in Uganda paid for by KOA with our village name on . The school kitchen gardens project is now self sufficient. The pic above is of me making a fool of myself at a KOA fete and below Music Mayhem the children’s choir performing at one of our concerts .